Sao Paulo - Bolivians or not? It is dificult to know. They don’t want to talk about theyr activities and where they are going to, where they live or work. In this photo we can see latin american immigrants going to Bom Retiro, a neighborhood that has sewing commerce. Behind them, in this photo, we can see a place where a Korean mega store was. They used to work for these Koreans but they are not in this place anymore. They moved. 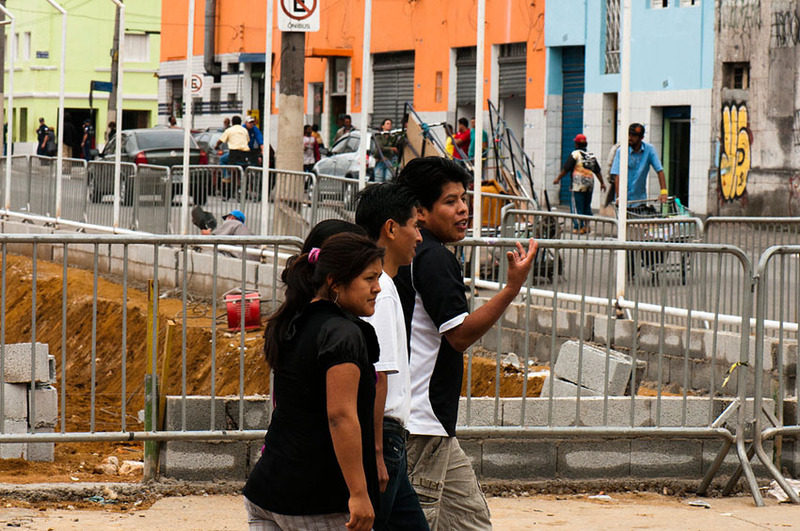 There are studies that show a large migration of Bolivians to Sao Paulo. (in 1994) that interfered with the route of Bolivian immigrants toward Argentina. This latest migration Bolivia-Brazil in Sao Paulo, is closely tied to a specific activity: sewing. Until the mid-1990s, Korean immigrants were the main employers of Bolivians, but since then they have focused on more lucrative activities, and sold the workshops for their employees Bolivians. From the standpoint of location, a clear concentration of the group is located in neighborhoods where most of the trade and production of the clothing market in Sao Paulo: the neighborhoods of Brás, Bom Retiro and Barra Funda. There are Bolivian immigrants in other neighborhoods areas north and east of the city: Casa Verde, Lemon, Vila Maria, Sao Miguel Paulista, among others, and even the city of Guarulhos. Workshops change place for safety reasons (fear of being discovered by police) or in search of cheaper rental prices.